Generally, I’ve been having some trouble with my headtracking in game. The problem that I’ve been facing is that if you are leaning to one side or the other, the headtracking wont pick up the headset. It gets very frustrating as users try to find the exact spot you need to be sitting in to get it to work. After bringing this up during the recent working prototype, end of semester one presentations, Adam suggested using two wiimotes. 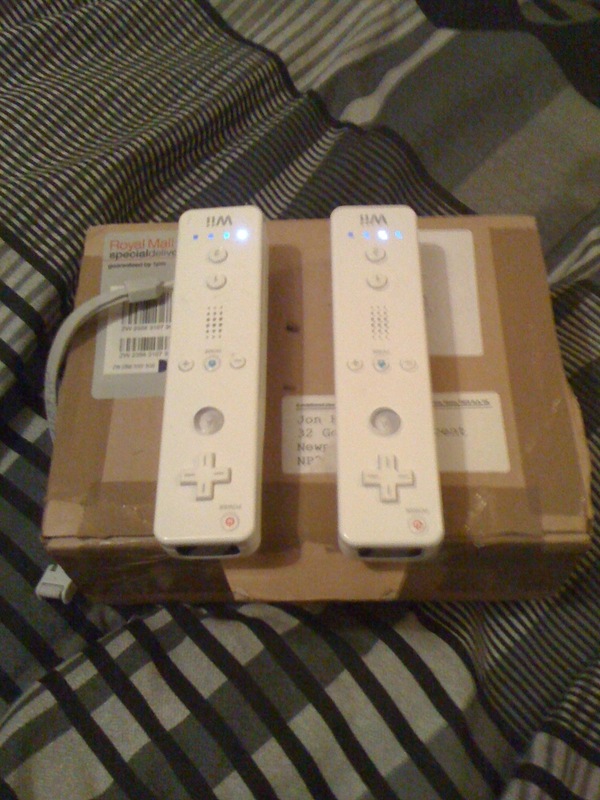 I’ve since tried using two wiimotes, and after nearly an entire day trying to find the right positions for the two wiimotes to be in, I think I have it sussed. 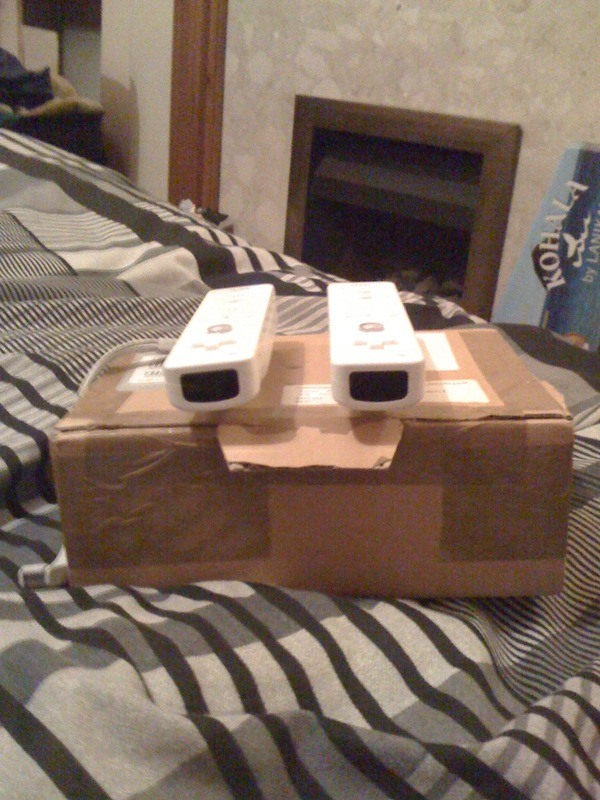 First of all I tried one wiimote on top and one wiimote infront pointing towards the hat so the two wiimotes form an L shape. This didnt work at all, as I later discovered, it was how the wiimotes handled the x axis that was the problem rather than the originally suspected y axis. 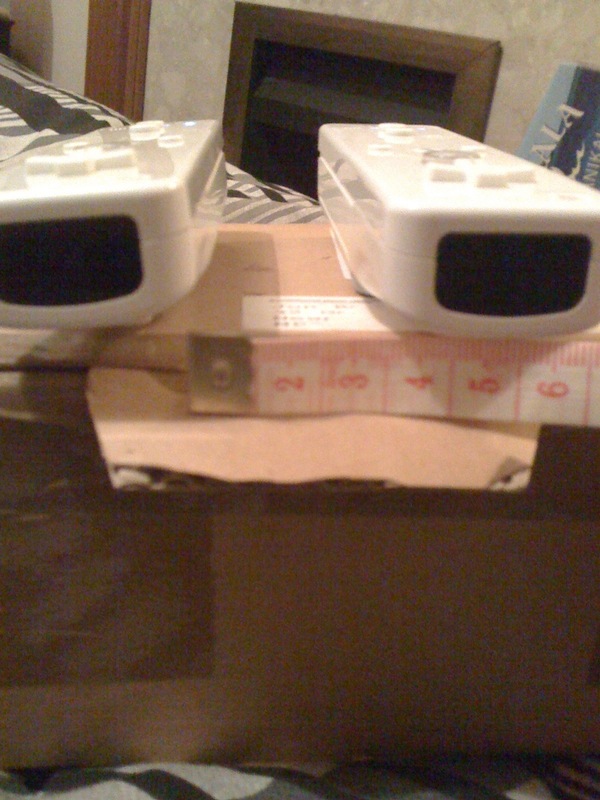 Next, I tried having a distance of a few inches between the two wiimotes and have them angled towards a central point. This didn’t work very well. I then brought them closer together, and I had better luck but still nothing substantial. I then played around with the positioning for a few hours until I found a great spot. 3cm apart from eachother, both facing directly downwards. This seems to give good coverage of the hat, I then merge the results together in the code and give an average. By doing this I get a good range of an extra few inches either side, the cursor will now appear on screen if the hat is roughly in the right place, then you can adjust yourself to find the best spot for you. I’m going to test this out on monday with the card cabinet, hopefully it will work just as well there.